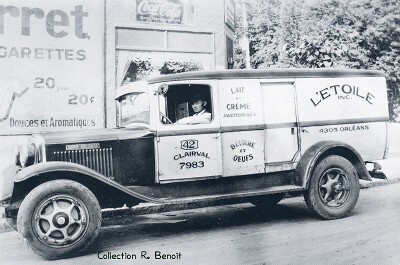 " Cultivateurs du Nord Dairy "
The business address of "L'Etoile" dairy was the same as "Laiterie des Cultivateurs du Nord". Bottleling was made by Laiterie des Cultivateurs du Nord. It looks like many other small dairies and milkmen were doing business at the same place forming a kind of a small cooperative. Notice the star (étoile) on bottles!